2007 Toyota Camry Solara SE for sale at Blue Bell Motorcars in Blue Bell, Pennsylvania! No Accidents, Fully Serviced with New PA Inspection, New Rear brakes and Rotors, and New Radiator. Aux Input, Satellite Radio Ready, SE Trim with Alloy Wheels. This 2007 Toyota Camry Solara is one of the few cars on the market that offers a distinct appearance, unbeatable reliability, and the sportiness of a coupe. The Solara coupe has been very successful since its 1999, and regularly ends up on year-end best buy lists. Toyota Camry outsells all the other midsize cars largely because of Toyota's reputation for quality, durability and reliability. The Camry is the perfect transportation appliance, flawlessly performing its duties, never annoying its owner. Its soft suspension smooths out beat-up city streets. The interior is ergonomically excellent, with big climate and audio knobs that are easy to adjust, and the seats are comfortable. 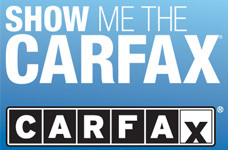 Built on the same platform as the Camry sedan, the Solara offers high levels of quality, durability and reliability. The Solara coupe features the practicality of a truly useful rear seat and adds style to your lifestyle without the cost and impracticality of a true sports car. If you want two doors and a swoopy look, Camry Solara is a safe, smart choice. 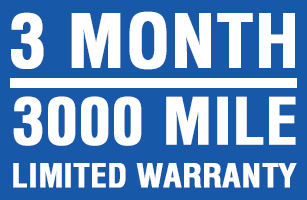 We include a 3 month / 3,000 mile warranty for Worry-Free Driving. Call STUART at 610-272-0200 to check out this black beauty, you won't be disappointed.